Yes, there is a better way to create staff schedules, and it’s going to do even more than nearly eliminate those manager’s lost hours every week. In the long run, it’s going to help improve your restaurant’s profits as well as the loyalty and happiness of both staff and guests. 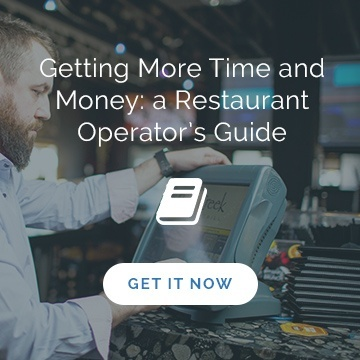 There’s just one problem: You don’t know anything about restaurant scheduling software. To help you get started as you begin to navigate the world of online restaurant scheduling so you can choose the right provider, we’ve created a list of the top three areas to consider. Instead of thinking about this section as your needs when it comes to restaurant scheduling software, an easier and perhaps more effective way in might be to think about your problems. What challenges do you want your scheduling system to solve? There are some systems that excel and focus specifically on ‘cloud’ scheduling. Some offer a bit of communication capabilities, but they don’t go past the scheduling. Other, more comprehensive software providers give you the ability to forecast labor and create valuable reports on top of creating schedules. That’s why it’s important to know what solutions or requirements you need: fast and easy scheduling, or fast and easy scheduling plus labor management (reporting and forecasting tools to meet goals of reducing labor costs and improving profits). At this stage, you might not know what kinds of features are possible with restaurant scheduling software, never mind which ones you want for your own operation. Here are some examples of the types of features you can expect to come across. We’ve put them into a table along with two columns: Nice to have and Need to have to help you determine which will be functional for you, and which might turn out to be flash and/or not generate a return-on-investment. Create the perfect schedule with the click of a button. Track when your employees worked, be mindful of overtime, and pay appropriate rates. Is there value in knowing what you’re projecting to spend on labor next week/month? Would your team benefit from being able to communicate instantly and electronically about scheduling? Would you feel like you could keep a better eye on operations if you could access your scheduling software through an app for mobile phones or the web? Would you use a reporting tool? Would communication improve if all management were on the same page? What if your scheduling software could talk with your other systems, like POS and payroll? Your business relies on your POS system to calculate payments, tally cash on hand and track customers’ habits. 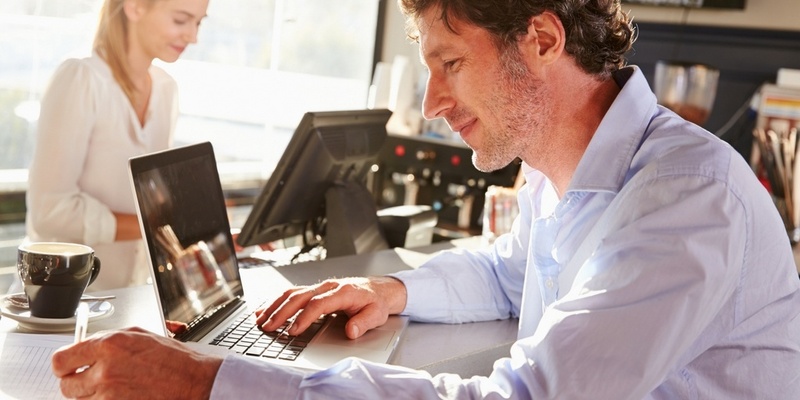 However, it could be doing another invaluable service once integrated with your scheduling software: POS systems can count beans and staff, give better labor forecasts and more. Learn all about it in our post Three Powerful Ways POS Integration Can Maximize Your Restaurant’s Profits. We like to say, it should be as easy to use Ameego as it is to breathe. 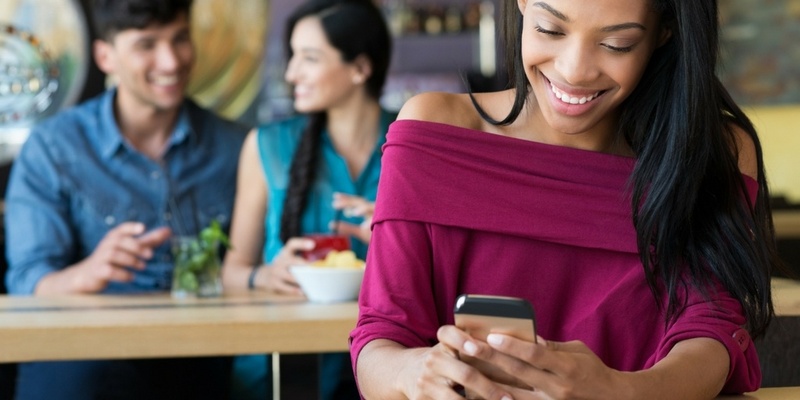 We knew from the beginning user-friendliness would be critical for restaurant scheduling software. People use tools that are easy. People keep tools that are easy. But what does ‘ease of use’ mean when it comes to restaurant scheduling software? It’s intuitive. The way the dashboard presents data. The way you’re just a click away from a staff member’s profile and availability when you’re making last-minute schedules. Or actual versus projected forecasts based on last October’s sales. In essence, will the software serve up exactly what you didn’t know you needed? It’s user-friendly for everybody. Some systems do a superb job of knowing what managers want, but aren’t as in tune with making communication easy for staff on the other end. Remember you want to get rid of all those napkin notes. Forever. It’s simple to onboard and begin using. Put it this way: Could the new scheduling manager figure it out and have a hand on next week’s schedule? Depending on the size of your operation, remember there could be multiple users and different types of learners with varied skills. It’s like your assistant, if you had one. You just can’t keep everything up top, but your software should be able to, confirming next steps, sending reminders, making suggestions or providing notifications with easy to identify icons. When it comes down to it, for many restaurants, ease of use might even be the most important consideration. The system that is simple to use for everyone is going to get the most adoption and return. Let the software work for you! Once you’ve had a chance to evaluate points 1, 2 & 3, you’ll also have a better sense of the associated fees, which is going to answer another of your all-important questions before choosing a vendor. It might be tempting to start shopping based on a budget, but if you work the other way around, following these steps to find your criteria, you’ll know what you’re actually getting for the money and won’t miss out on important features. What else do you need to consider when you’re in the market for restaurant scheduling software? 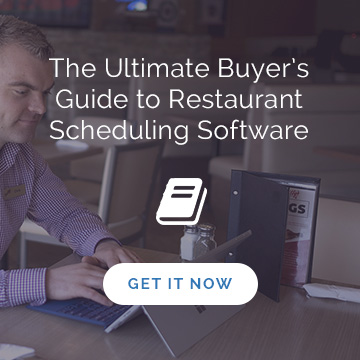 Download our free ebook, The Ultimate Buyer’s Guide to Restaurant Scheduling Software. Are you looking for restaurant scheduling software trusted and used by restaurateurs all over the world? Get in touch to see how we can help you shave management scheduling hours, reduce labor costs and improve staff work-life balance at your restaurant!